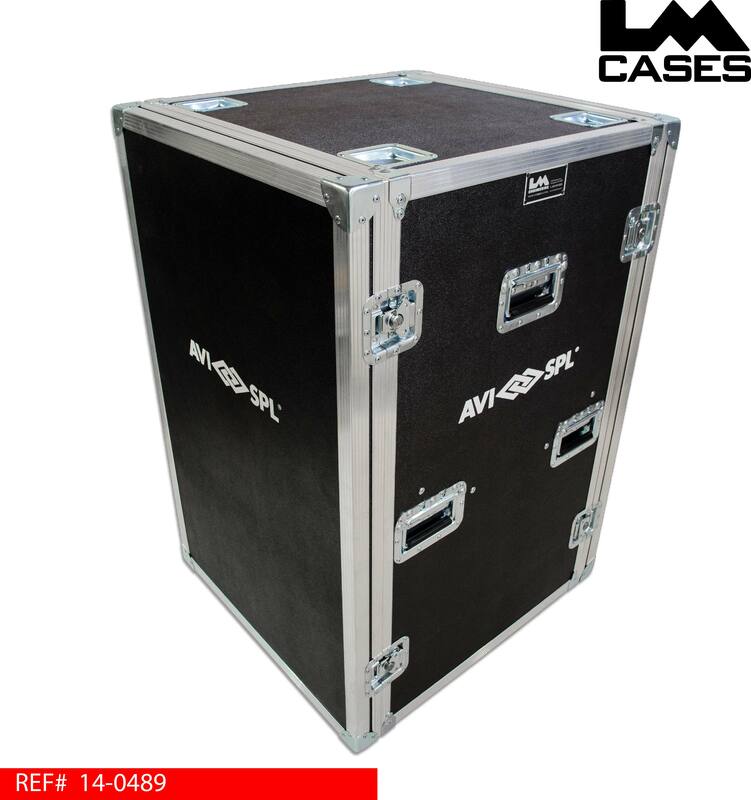 This case was designed for AVI-SPL to house their Yamaha RIO 3224-D interfaces to provide IO for their CL5 system. The case is built around 2 removable 8RU racks that house the 5RU RIO units with room for future expansion. 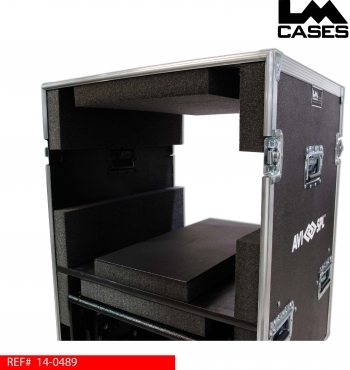 The case interior holds 2 8RU racks cradled in 2" PE foam compartments. The bottom foam blocks in each compartment feature a piece of 1/4" marine grade plastic laminated to them to help the racks slide in and out without damaging the foam. 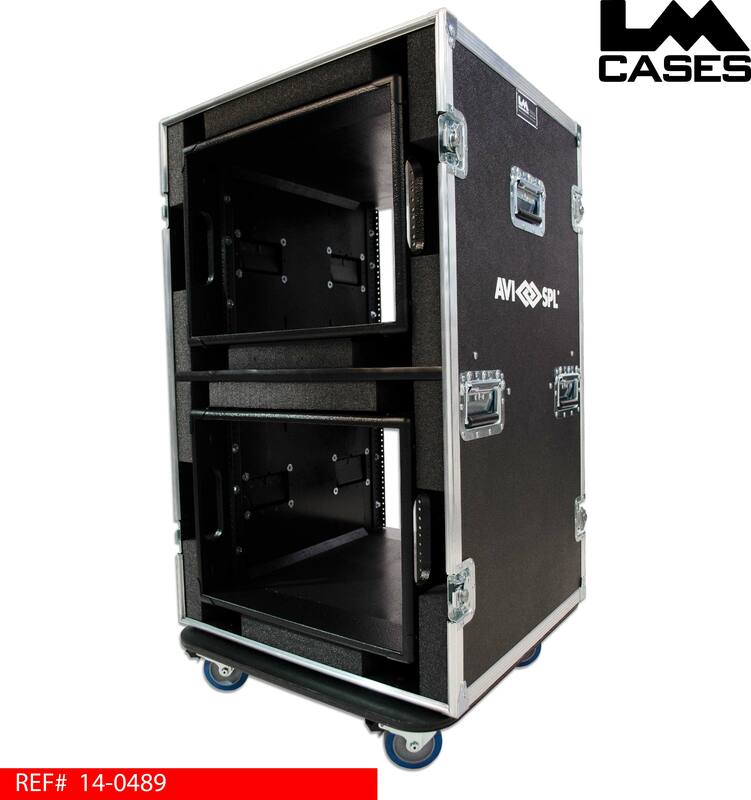 The center divider splitting the case in 2 compartments is built out of 3/4" Baltic Birch and features steel box tubing to prevent sagging over time. All exposed wood is finished with black texture coating. The dual 8RU racks are 24" deep with a 22" rail to rail depth. 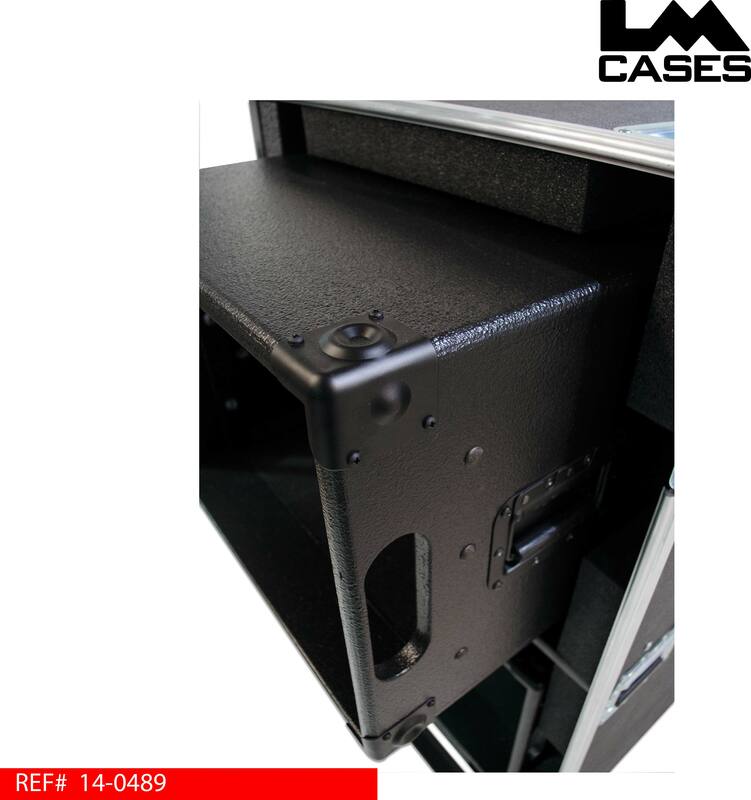 Each rack features 4 black deep recessed handles in addition to routed hand slots that allow the rack to be removed from the shell easily. The racks are built out of 3/4" Baltic Birch and are finished with black texture coating. 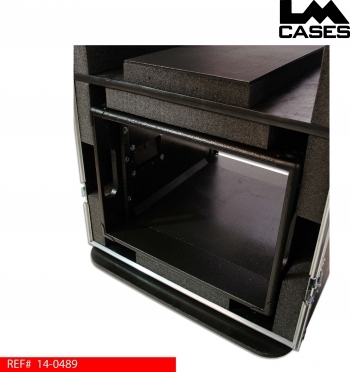 All edges are routed to provide a smooth finished look. 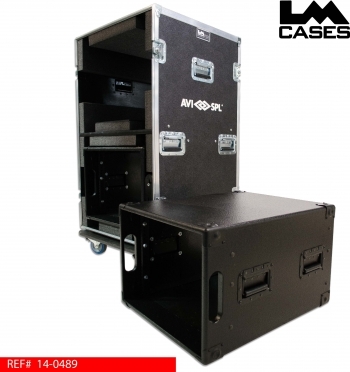 The rack also features black anodized stacking corners that allow the racks to stack on each other vertically or horizontally. The exterior case is built out of 1/2" plywood and features front & rear removable lids. 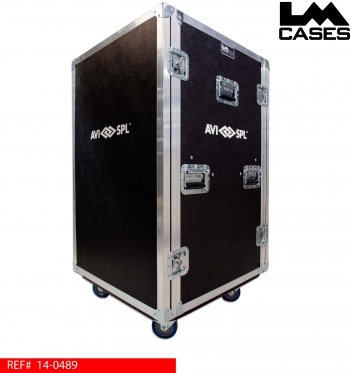 The exterior also features 4 deep recessed handles, 4" Colson casters (2 locking + 2 non), stacking caster wells, and a custom silkscreen of the AVI-SPL logo. The maximum OD dims including the casters and corners are: 27.5" wide x 29.75" deep x 48.75" tall.